T.H.E. 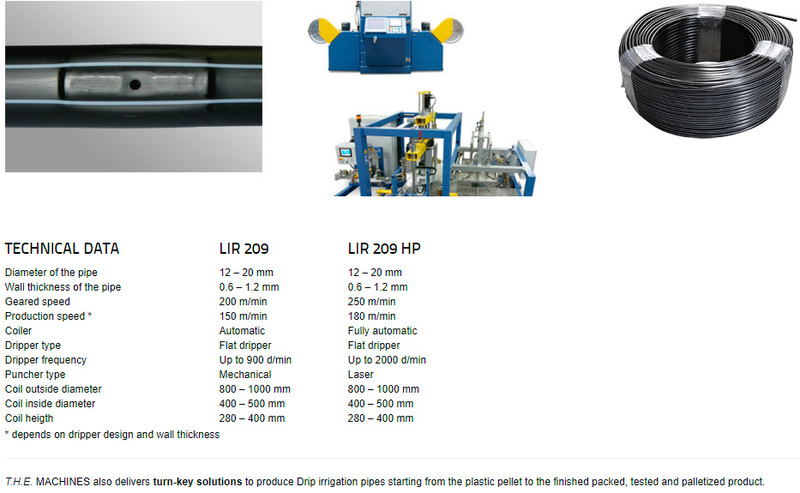 high performance extrusion systems are designed to produce irrigation pipes fully automatic, with highest dripper inserting and punching frequency, perfect carbon black distribution as well as a high degree of inline quality control and automation. 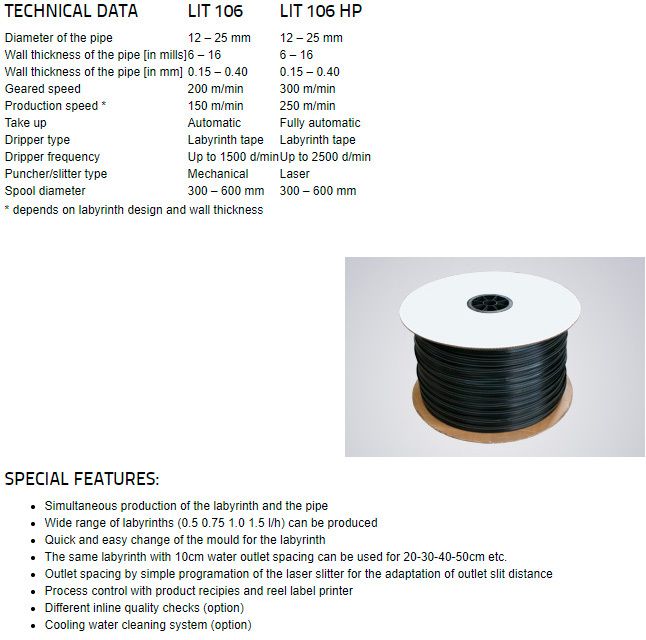 These achievements are possible due to the latest technologies in Laser punching, dripper sorting and state of the art process technologies. 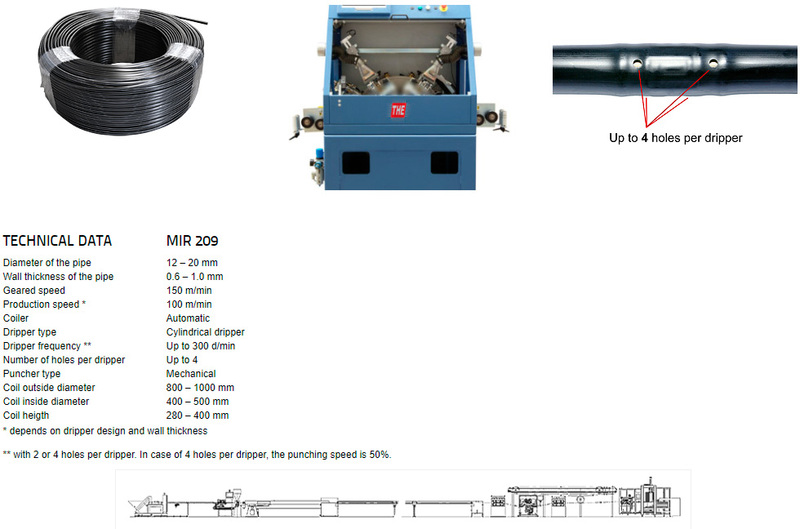 Some of these lines are designed to produce at speeds of 250 m/min and an inserting frequency of 2500 drippers/minute. To achieve such performances, solutions were developed which combine mechanical and electronic features, requiring good technical knowledge, both in maintenance and operation. More than 20 patents were filed during this time. 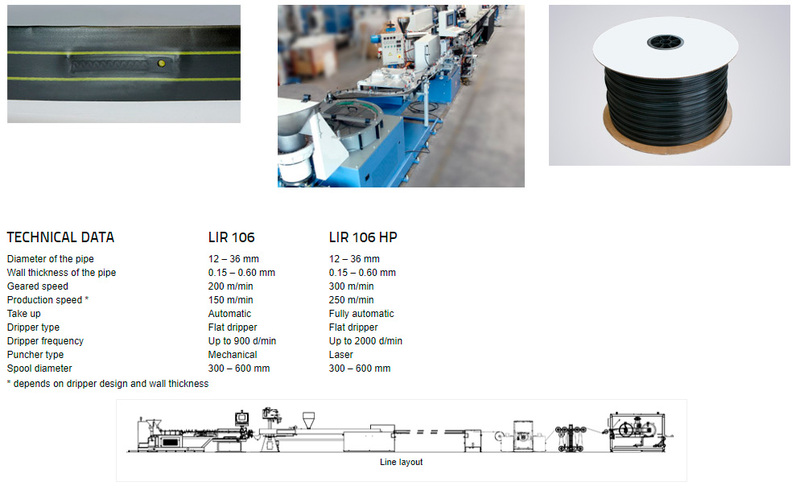 These lines are used by pipe producers with important market share and very high production volume. T.H.E. 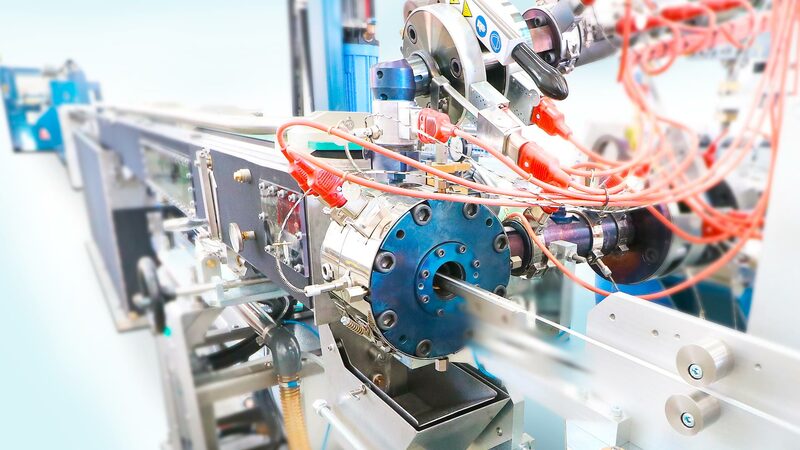 MACHINES high performance extrusion systems are designed to produce irrigation pipes fully automatic, with highest dripper inserting and punching frequency, perfect carbon black distribution as well as a high degree of inline quality control and automation. These achievements are possible due to punching latest technologies, dripper sorting and state of the art process technologies. Cancun Consult foi criada com o objetivo de buscar parcerias empresariais para o desenvolvimento e expansão da marca e portfólio de produtos destinados especialmente para indústria de fios e cabos, cabos de aço, tubos e mangueiras além de envasadoras e empacotadoras.